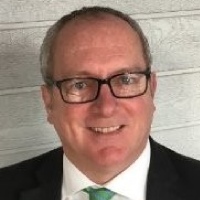 A former Macquarie executive and a former ANZ Banking senior manager have joined SMSF software firm SuperConcepts. In a statement, the company announced it has appointed Mark Davis and Jonathon Wells to its team as business development professionals, stationed in Melbourne and Adelaide, respectively. SuperConcepts chief executive Natasha Fenech said the new hires will help bolster the business’ capacity as a national service provider. “The addition of Mark and Jon bolsters the business development team to continue its comprehensive nationwide presence to service clients in each state,” Ms Fenech said. Both Mr Davis and Mr Wells have more than two decades of experience within the SMSF and institutional sector, the statement said. “Having such senior backgrounds in the institutional and commercial space, Mark and Jon are able to give a level of experience for our clients that really helps develop their business needs to the next level using SuperConcepts software and administration services,” said Ms Fenech.